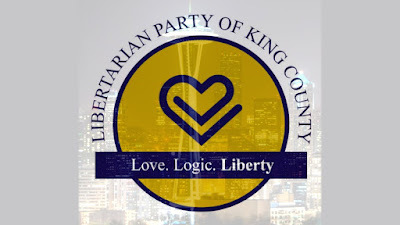 LCI talked with Charles Schaefer in an exclusive interview about his 2017 campaign run for City Council of Burien, WA. He touched on a few issues such as a absence of law enforcement and community outreach. He is currently actively volunteering in the community, specifically with homeless issues. Charles wants to work on issues with the community and his fellow council. 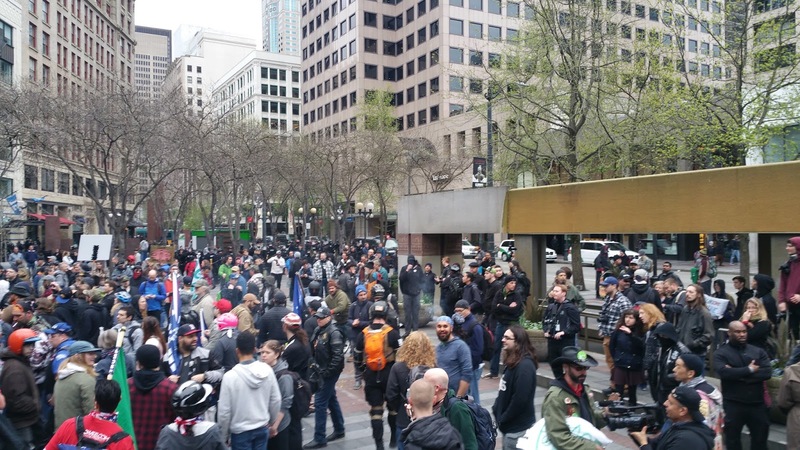 While this article might be coming out two weeks after the events of "May Day" in Seattle on May 1st, 2017, this certainly will have the most coverage from the Westlake Park area where the "Patriot Prayer" group held a meet-up that brought in over 150 Conservatives, President Trump supporters, Independents, Libertarians, Anarchists and other ideologies outside of the "left" spectrum. 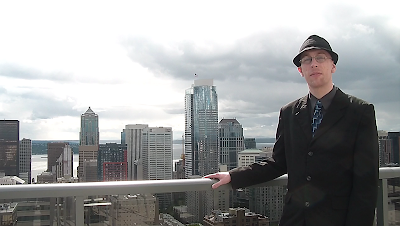 The following video is the opening words at the Westlake Park meetup. The focus of the day was to be peaceful, stand for all of the Amendments (especially the 1st Amendment) and to let the community know they are here. Beginning video clip provided by Alex Love. Many have claimed that the conservative group that organized the Westlake Park meeting and march in Seattle, may have "saved Seattle." 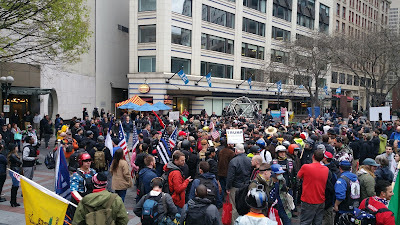 We asked Patriot Prayer for a comment on the day and they replied that "people should keep an eye on Patriot Prayer if they want to get involved in future events." "We won, it was a great victory for the Right. We showed that the disorder and violence is on the Left. I'm proud to be a part of this movement and LCI." Other LCI Independent Contributors Cody Rose, Alex Love, and Avery Hufford were at the event providing security and event coverage. Their service was appreciated on that day. The following is footage of Antifa refusing to do an open interview after one of their members ordered the group to leave the area. There was at least 3 members that were willing to talk. A missed opportunity by the group to receive media exposure from an outlet that would have given them free reign to speak. 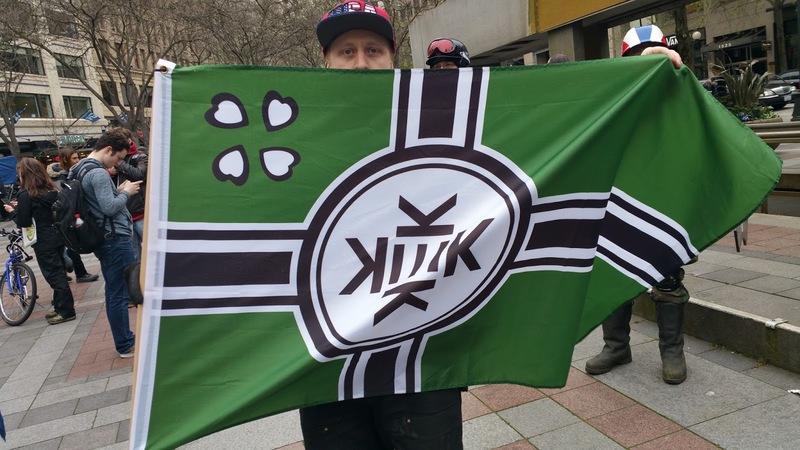 Anon and Tyler speak on their thoughts about "May Day" in Seattle and discuss recent events, such as Berkeley that Tyler was able to attend. John Beavers speaks with LCI about his encounters at Berkeley recently where he was one of the first injured. He shares his thoughts on why Antifa possibly are doing what they are doing and advises people to stick together. 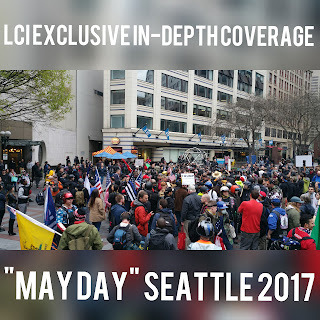 The following video is the first of two marches completed on "May Day" 5/1/2017 and is one of the actions by the "Conservative" group that many are saying "Saved Seattle" from Antifa and other provocateurs causing damage to the city. We had full footage of the second march, but unfortunately it was lost due to Facebook Live-stream technical difficulties. 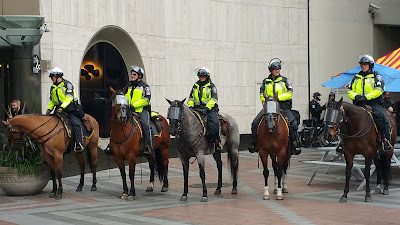 After returning to Westlake Park in Seattle after marching through downtown areas; the "Conservative" group were greeted by more Antifa and other protestors that had come from other protests throughout the city. 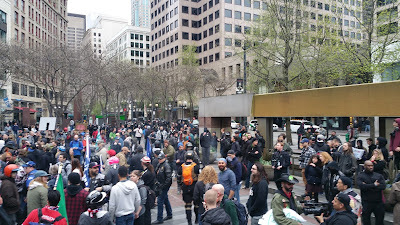 The end of the "May Day" "Conservative" meetup/protest ended with a scuffle that resulted in police asking everyone to evacuate the area. 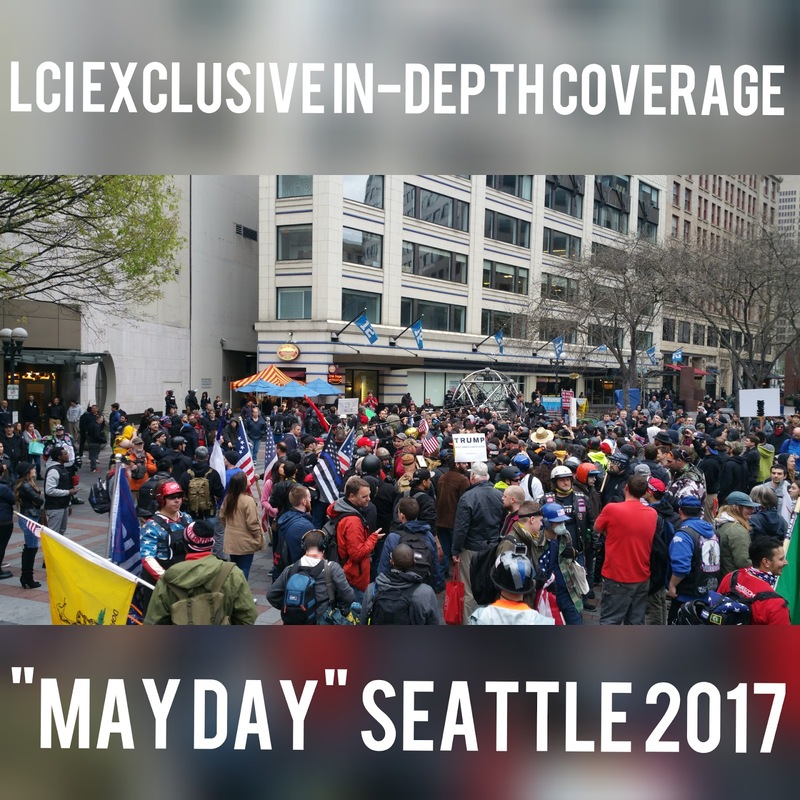 Today on May 15th 2017 in an LCI exclusive, we were able to interview Kyle Broussard who was one of the key people during the "May Day" event at Westlake Park. He helped single-handedly defuse many "conflicts," including the final "scuffle" at Westlake Park that resulted in Police directly stepping in and telling people to leave the area. In this interview, Kyle talks about his Libertarian views and how we need to come together with open dialog on all sides. 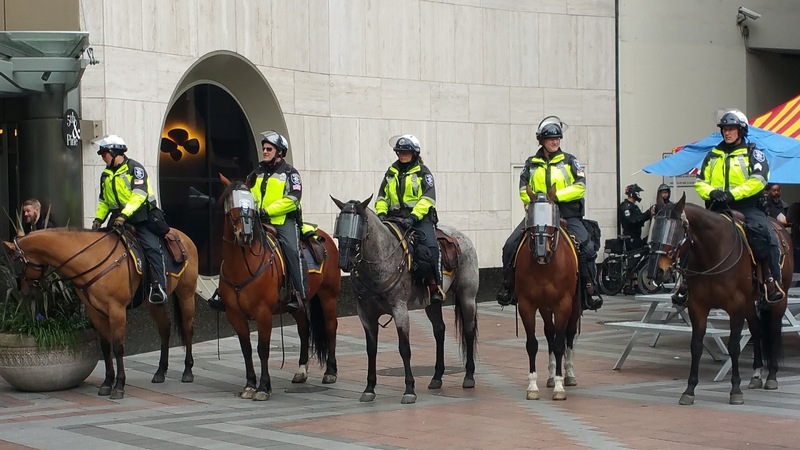 Closing out this Mega-Coverage of "May Day" in Seattle, we leave you with this clip. Taking over Mainstream Media Narrative, showing Peace and Unity while Protesting Censorship and Supporting our rights with the Amendments. Make sure to stick around for the ending. "A complaint was filed by multiple parties on Monday regarding California's representation problem. Many parties including cities, individuals, political parties and even a native tribe have filed a suit saying they are not being represented correctly. With all districts in the State of California reaching one vote for every 500,000 people in a single district. This virtually waters down the individuals voting power to so little there becomes minuscule purpose in voting. The purpose of our government is to accurately represent people. Having a lower ratio of representatives in proportion to the population is against the initial principles of this country. Citizens of California have finally decided to question the State government as is apparent in this complaint. The question becomes what will the State of California do with this? How will the Attorney General respond? California has an obligation to answer to its people these very serious questions. It is a question to the nature of our republic." Courthouse News Service published an article on May 9th, 2017 on the subject as well. An eclectic group of plaintiffs of all political stripes want to renovate California’s political system, which they say is burdened by an “oligarchic” state government shaped by exponential population growth and an influx of corporate money in local elections. Led by a group of secessionists whose main goal is to eventually break away from California, the plaintiffs claim in a federal lawsuit that the Golden State has stubbornly refused to increase its number of elected state lawmakers despite a population that has ballooned to nearly 40 million. With just one state senator per approximately one million people, the Californians say their votes have been diluted and their elections “purchased” by candidates from the two major parties. 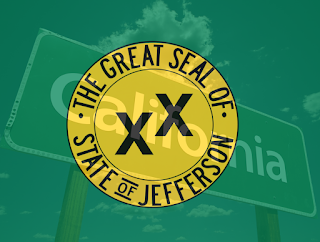 The diverse assemblage, which includes Baird’s secessionist State of Jefferson group, the California Libertarian Party, the Marin County Green Party, Native Americans and elected officials, wants a three-judge panel to order California to create new legislative districts. "A VERIFIED COMPLAINT FOR DECLARATORY AND INJUNCTIVE RELIEF FOR MISAPPORTIONMENT AND UNCONSTITUTIONAL VOTE DILUTION & ABRIDGMENT IN THE CALIFORNIA ASSEMBLY & STATE SENATE"
"The great experiment and promise of Independence - “We The People” – launched the American Revolution that led to The United States of America, was based on the fundamental founding organic principle of “No taxation, without Representation - Give me Liberty, or give me death.” Sadly, this paramount principle of representation - that the people themselves provide the basis for governmental sovereignty and legitimacy - has been abridged by California. This neglect of “We the People” as the organic basis for this Nation’s self-governance stems from the cap the California government placed on the number of Senators (limited to 40) and Assembly Members (limited to 80) in 1862, when the population of the State was less 420,000 people. This arbitrary cap has created an oligarchy inconsistent with representative self-governance because the same number of legislators (120 total) now attempts to represent California’s present population of nearly forty MILLION (40,000,000) people. By any metric, this is impossible; 120 legislators cannot possibly represent forty (40) MILLION people in any effective, equitable and meaningful manner as contemplated by the United States Constitution and Amendments thereto. Since the end of the Civil War the United States has consistently strengthened its commitment to a representative form of self-governance by ratification of Constitutional Amendments and treaties designed to promote the people’s participation in governing at both the National and State levels. California's refusal to increase its levels of legislative representation to reflect its exponential population growth is both arbitrary and unconstitutional. 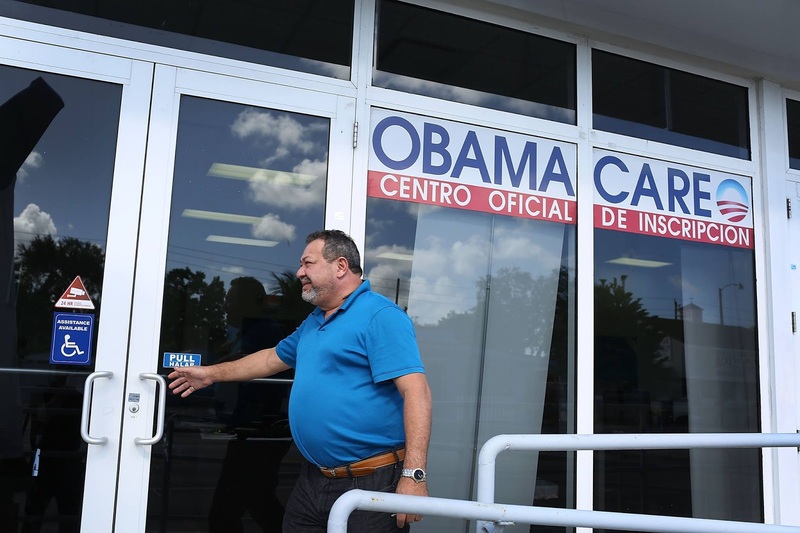 As a consequence, the premise of the People’s right to participate in meaningful self-governance has been abandoned. California elections are effectively “purchased” by candidates who are in the service of the two major parties and no longer represent the people. Accordingly, Plaintiffs bring this lawsuit to return their representation to those principles contemplated by the founders for a representative republic, or in the alternative to sanction California for its brazen subjugation of the people’s right to govern themselves." DM: LCI welcomes today Casey Carlisle, the Mayor candidate for the city of Seattle, WA during the 2017 campaign! Thanks for giving us your time to answer some of our questions. Mayor of Seattle, arguably the face of Washington state; what motivated you to take on this challenge? CC: I'm running for mayor because I'm not satisfied with simply complaining about the direction our city is taking. We need a non-partisan, objective approach. Our city government shares much of the blame for making Seattle’s cost of living so high. I want to limit the size and scope of the City and focus more on basic services, not on social engineering. DM: What do you consider the major issues to address in Seattle and then we can discuss those issues a little more in detail. CC: Cost of living, homelessness, and neighborhood autonomy. DM: In regards to the homeless epidemic on Seattle, where do you plan on beginning with the issue? The regulations stopping affordable building solutions? The high taxation? 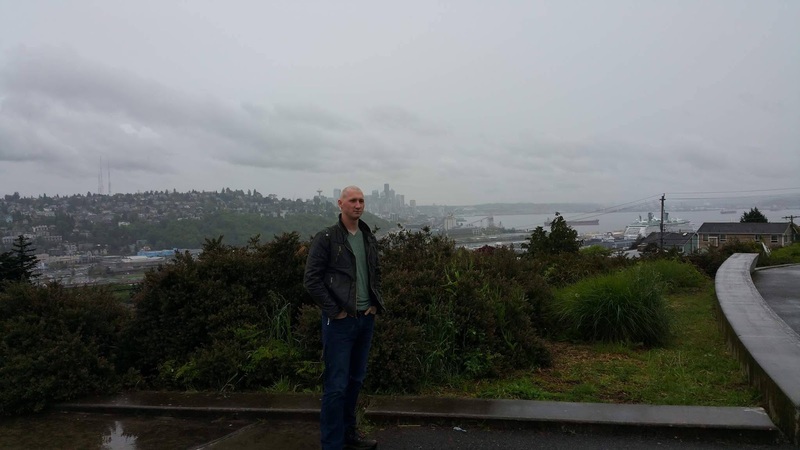 Washington state's horrific mental health treatment history? It's a huge and complex issue and what is your take on tackling the issue? CC: I agree that homelessness is a complex issue, and because it’s complex, not everyone will be pleased with the steps I or anyone else would like to take. It’s counterintuitive, but the City is currently fueling the rise of homelessness. 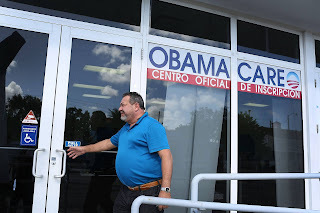 How can we try to fix a problem that we’re currently aiding and abetting? I’d begin with scrapping plans for more City-sanctioned homeless encampments, and I’d close existing City-sanctioned homeless encampments on my 30th day in office. Lowering taxes will also help, and scrapping affordable housing mandates will help, too. Affordable housing mandates hurt the very same people we’re trying to help. For example, the upzone proposal for the International District mandates that 17% of all new apartment units be priced below market rates. Do you think developers and property managers will just eat the cost? Of course not. They’ll make up for the loss by raising the rents above market rates on the remaining 83%, which widens the wealth gap. “Inclusionary zoning” is just rent control in disguise, designed to make those who implement it feel good about their noble intentions while ignoring the negative, unintended consequences. Once we implement these changes, we’ll be able to focus on those who are in most need – the mentally ill.
DM: Cost of living issues go along directly with the homelessness epidemic, what additional information can you provide on how to make changes such as regressive tax focus, etc.? CC: I agree that our tax system is regressive, but no mayor in Washington can change it. We’re stuck with it until state legislators change it, so the best we can do is lower the sales and property taxes. In addition, I’d place a moratorium on City hiring, and I’d evaluate the City’s 40 departments to see which we can do without. Also, I’d like every City employee – elected officials included – to take a 15% pay cut. If the City were to focus on just the basics, we wouldn’t need to have such ridiculously high taxes. The more the City tries to do, the more poor and divided we’ll be. DM: Regarding Neighborhood and community outreach, what areas do you wish to tackle on? What has worked? What needs eliminated? What do you want to see implemented? CC: Developers shouldn’t be soliciting favors from the City. Upzone all of Seattle, and relinquish planning power to the neighborhoods. With this approach, all of Seattle will have the opportunity for economic development, and developers will have to deal directly with the neighborhood that they wish to develop. DM: As Mayor, having all of the issues and ideas as we have discussed prepares you for the daunting tasks at hand. However, you will need to work among your peers in the City Council. What is your strategy to work efficiently and productively with them on the issues? CC: Transparency is key. I want all of Seattle to know about what I wish to accomplish. If they’re aware of these plans, and if I have enough people to support them, the City Council won’t have the luxury of arguing with just me, considering I’ll have the backing of tens of thousands of Seattleites. This is not to say that I’ll be ignoring the City Council; quite the opposite. I look forward to having constructive debates with council-members, and I’d like those debates to be open to the public. DM: Out of everything we have discussed or may not have mentioned yet, what issue is going to be the absolute hardest to take care of in one term? CC: I don’t want to seek reelection, so I think it will be very difficult to shrink the size and scope of the City as much as I would like to in four years. Public-sector unions don’t care about the greater good or about having a lower cost of living, so they will surely put up a fight to protect our bureaucrat-bloated government. For example, they want to continue negotiating collective bargaining agreements behind closed doors. That shouldn’t be legal. It’s our money that pays their bloated salaries, so the public should be made aware of those salaries. Unions would rather us be in the dark. Julian Assange said it best: secrecy breeds incompetence. DM: What ideas do you have on new legislation, if any? If so, how would you see them go through? CC: I plan to do more vetoing than rule making. In general, I want to reduce the size and scope of the City; however, I do have a couple ideas. I am eager to reform the way property is taxed. Property taxes are one of the most hated forms of taxation, but if we must have them, they might as well be more objective and equitable. I have been increasingly interested in the land value tax. Taxing only the land – instead of what’s on it – will reduce sprawl, lighten the tax load for those who share walls (apartments vs. houses), and remove the subjectivity involved in assessing home value. I am also very interested in changing the way we vote for political candidates. “Top-two” is disastrous for candidates not associated with the two, old parties, so I see “top-two” as stifling democracy in our very independent city. Ranked-choice voting and reforming the way property is taxed seem like a win-win forall, so I don't expect much resistance from the council on these two items. DM: This has been an extremely informative interview and I hope that voters reading will take your positions into high consideration when deciding where they cast their vote in Seattle. If the community is looking to get involved with helping your campaign or donations, what links or information can you provide here? DM: Thanks again for taking the time to speak with us. In closing thoughts, what would you like to leave with readers? CC: Thank you for your interest. I'm a big believer of "live and let live," and I refuse to believe that that sentiment has fallen out of favor. Please help me spread the word, and thanks again. This was the big day for the decision on the Men's shelter in Bellevue, Washington on April 17th 2017. The council started off with a study session hearing at 6:30 PM to have hearings from project organizers and city leadership.They discussed the current location and the feasibility of having the current shelter open to temporary shelter during the build of the new site next to Bellevue College. The council, city and project leadership discussed public safety of the site and the current procedural duties of the current shelter that CHF runs. During this meeting homeless credentialing came up where they would potentially require ID for anyone to come into the shelter. Whether or not if this would help safety issues is up in the air. However many homeless people don't have ID during the time they are homeless as an organizer for CHF explained. There is another issue which is public safety. The community doesn't feel that a "low barrier" site is a good idea in the zone that the shelter was planned at. Extra policing was brought up during this meeting and potentially hiring more officers. There was a dangerous idea that a few of the council members brought up which is cracking down on camping in recreational vehicles or cars.This would cause more people to go to jail, lose their modes of transportation (or housing) and create extra homeless on the streets or in the shelters. Does this sound like a good idea to you? There was talk about using the current temporary shelter during the construction but the council felt it wasn't viable due to building structure issues. The CHF experts were trying to fight for a spot for these people to have a place during the construction. While safety was the main concern these issues can be addressed on a more pragmatic playing field. The meeting hall was packed with residents and the study session was pretty quiet. In the new site there is talk of a potential "interrogation room" to interview those who committed crimes and potentially have a police office at the site or even just having a PIO (Elimination of an Officer position possibly) there says Chief Steve Mylett. The site next to Bellevue college was the only mentioned during the study session. We had the Regular session after which had record city council attendance with people spilling out of the main meeting room into the annex. They had a few regular business issues first. Then after they had 5 citizens that support the shelter and 5 opposed. Michael Brown, a member of the organization started off in support "as a young father who is excited to see the community rallying behind the need". He states "the track record of Congregations for the Homeless is Stellar". You can watch all of the comments in support of the shelter below. In opposition we had Catherine Pitchen who lives in the neighborhood. She and some of the other people opposed are worried about excess drugs and alcohol in their community. As you view below many are asking for another site for various reasons. I haven't been able to do a full interview with the Eastside Residents coalition but I hope to be able to soon as there is a side to this that might explain why the council wants the current location. Jared Neuhaus spoke in recommendation of using the ST3 land where the temporary shelter was located last year. Sound transit has 3 parcels of excess land after the projects. In the ST3 Package the state legislature required Sound Transit to donate excess land to affordable housing. John Carlson spoke in support of the council and Steve Roberts of CHF for working to help the homeless. While he is not in support of the current location he states "it's the right thing in the wrong place". He states this is due to improper land use regulations. He is proposing a location near Bell-Red. The speakers in opposition (Mostly location) are posted below. John Stokes (Bellevue Mayor) continued to push the current location of this site along with the council which temporarily angered residents. He went back on the proposal by himself and the council. In the proposal they deleted the use of a safe injection site at the location. Council member Kevin Wallace spoke out in opposition of the current proposal. He asked for the current temporary structure to continue to house the current homeless. Also questioned the mayor and the rest of the council on the current proposed location of the Low Barrier Shelter by Bellevue College and asked for the council to do a study on 3 sites that had been given in alternative to the proposed. The community after yelling and shouting at the mayor gathered in support as the Mayor and council agreed to continue to study these other sites. This meeting ended late after an extension with 3 sites to look at after a 4- 3 council vote to move forward. The Council is looking at the project being decided in the next few months. While the project completion date is looking out towards 2023. While the issue to look at going forward should be the interaction between the city, police and the homeless on the streets. I came up on a scene on 05/01/17 on Bellevue Way NE SB of a cop pinning a homeless person to the ground and subduing him. While I am not sure what the altercation was due to, there is notice that the city is cracking down on people who stay on the street. There is footage of the council discussing public safety below.